The studios and the performing art display galleries have special requirements. These Studio Website Templates satisfy all these requirements. One of the main requirements is compatibility with all devices. The second requirement is the easy uploading facility of photos as well as video content. The highlight of all these themes is the easy customization feature allowing you to edit the data using the various color replacing options at your disposal. We shall review some of these templates for you to help you understand better. 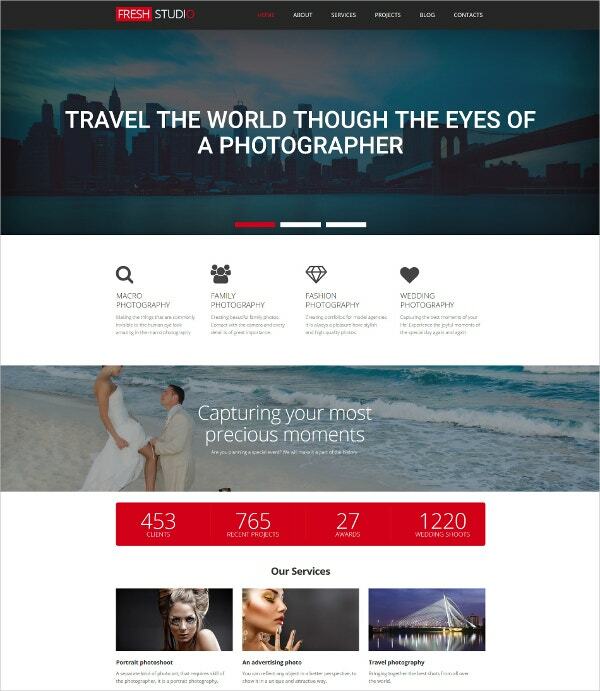 You may also see Photo Website Templates. 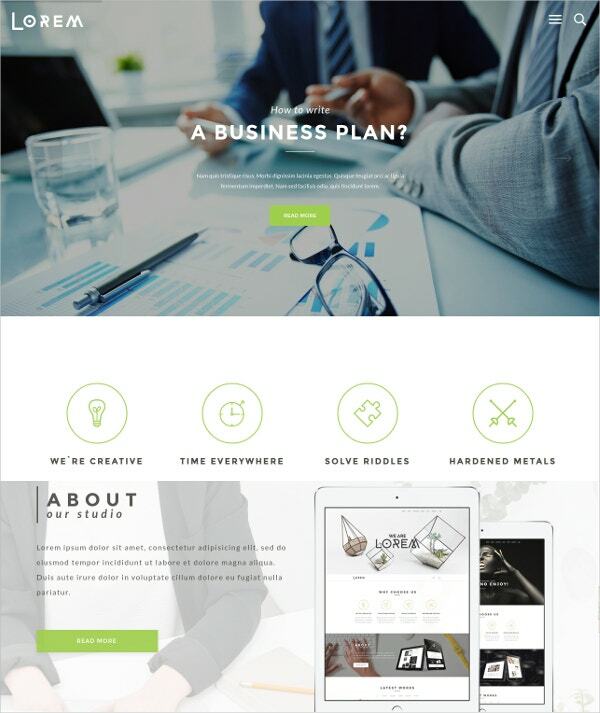 Perfect for design studios, this website template is extremely responsive in nature, making it easy to view on all compatible devices. The Mega Menu lends a professional touch. The parallax and the theme color switcher options make up the attraction quotient. The lazy load effects add to the browsing speed. The accessibility to Google maps and fonts is an additional attraction. You may also see Interior Design Website Templates. 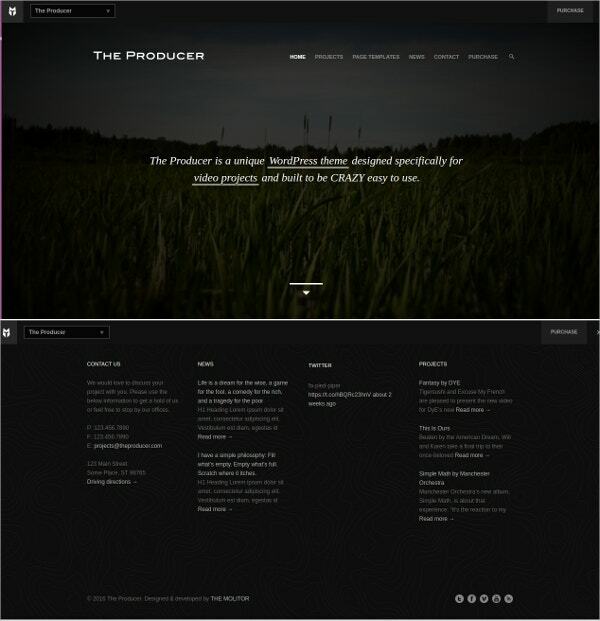 This responsive Film Studio Website template comes with a video option for the home page. Customizing this theme is easy, as you can change colors and logos according to your convenience. Compatible with all the versions of WordPress, this theme has a built-in admin panel. The JS Query animations lend a lot of weight to the theme. You have the advantage of free updates as well. Ideal for photo studios, this website template is easy to customize according to your requirements. The Moto CMS solution is a complete one in all respects. Simple to use, yet extremely efficient, this is a responsive website. The Drag and Drop options allow for easy page building. The Presets builder and thrilling widgets make it most attractive to use. This website theme is best for tattoo artists to display their talent. This theme has an amazing horizontal layout with full-screen galleries. The Custom JQuery sliders and page templates add to the attractiveness of the theme. The responsive design ensures easy viewing on all kinds of devices. Translation ready, you can use this theme in a multitude of languages as well. You may also see Art Gallery Website Templates. 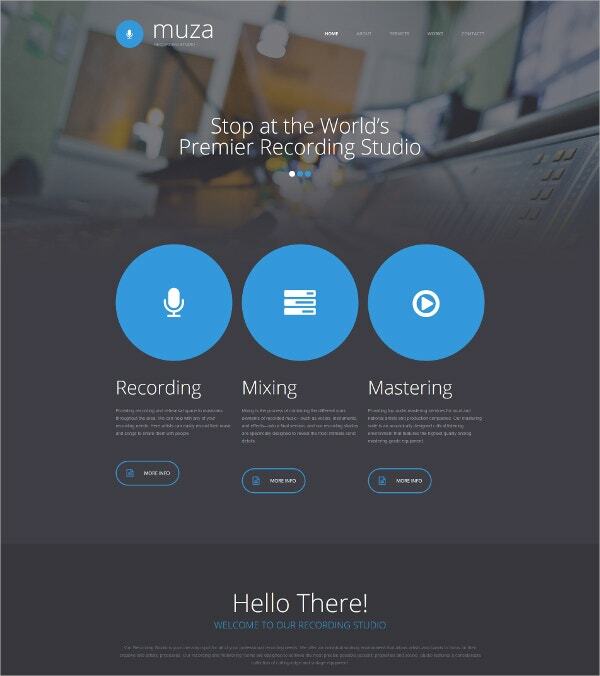 This Recording Studio website template is ideal for sound and music recorders. This highly responsive theme is perfect for viewing on all devices. The parallax effect gives a feeling of depth to the entire scene. The Drop down menus, the integration with Google maps and fonts, etc, make this theme a favorite among all. Built with Bootstrap, this theme is a powerful one. This Dance Studio Website template is ideal for all kinds of creative business projects such as photo studios, blogs, handmade crafts shops, etc. The slider revolution makes for attractive viewing of the images. You get access to unlimited free Google fonts. The package comes with a free 17-layered PSD file. The responsive design makes it easy to use on a variety of devices. Best suited for photographers and artists, this is a clean and minimal portfolio theme. Using unlimited color options, you are able to customize the theme according to your requirements. The retina ready and responsive features allow you to use on all kinds of devices. You get accessibility to innumerable Google fonts. The horizontal and vertical layouts are another attraction. This theme is the favorite of all the dance and performing arts schools. The various individual pages allow for the easy presentation of the content. The Masonry Grid gallery can host some beautiful images as well. The responsive design with its interesting CSS3 effects is compatible with all kinds of browsers. This is a simple and elegant theme. This might just be the perfect website theme for the dance studios. The theme has specific features allowing the promotion of the Dance Studio services. You get to see beautiful imagery. The home page with an appealing overview of your dance classes offers easy navigational options. This is a social media compatible website theme. Thus, you can find more takers for it. 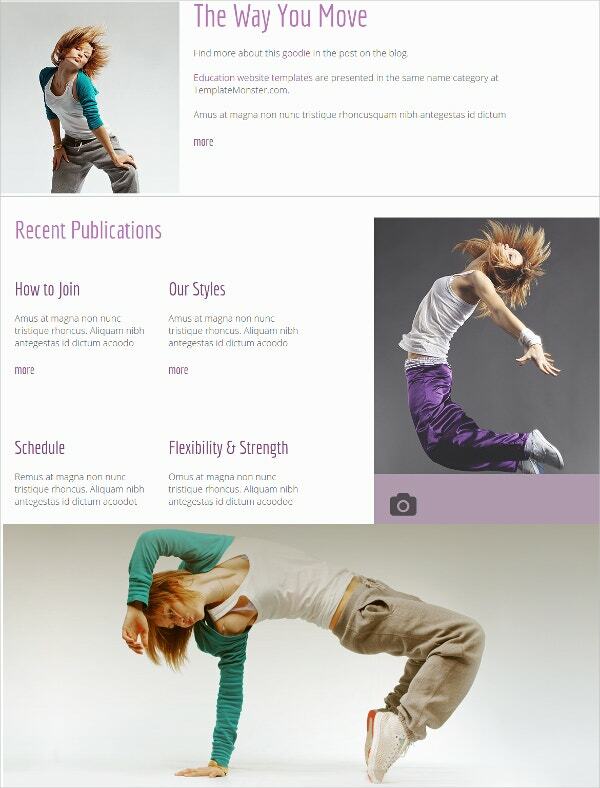 The Free Dance Studio HTML5 Website theme boasts of one of the best templates in the industry. Easy to customize and use as well, this theme has attractive features in plenty. The responsive nature of this theme allows you to use the theme on a variety of devices. The attractive color and graphic options are the highlights of this interactive theme. 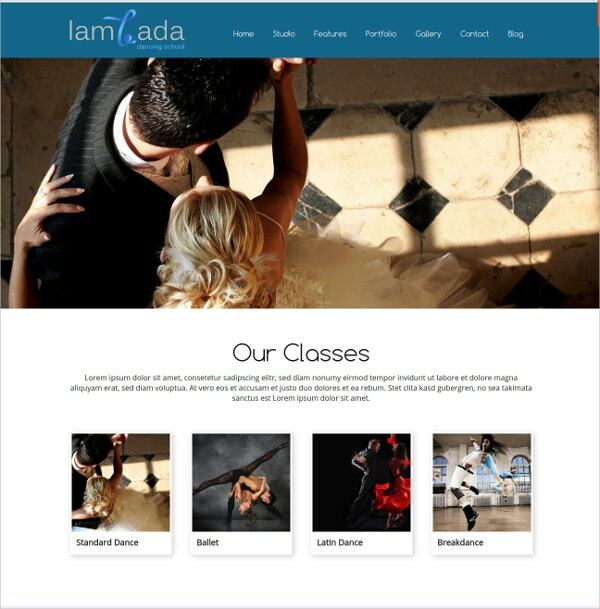 This WordPress website theme is apt for dancing schools and studios. With a highly responsive design and an advanced admin panel, this theme has filterable portfolios as well. The clean design is extremely customizable using more than 600 web fonts. Te HTML5 and CSS3 coding make it powerful yet easy to use. Perfect for studios, architects, creative people, and agencies as well, this website is user-friendly in all respects. The structures, as well as the layouts, are items to watch out. 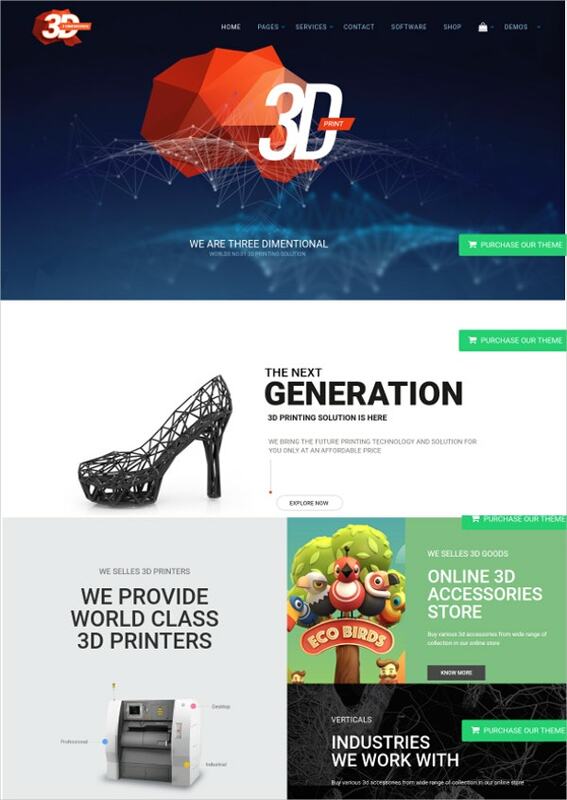 The 3D printing WordPress theme is extremely responsive in nature. Easy to install and customize as well, this theme is the favorite among the artist communities. 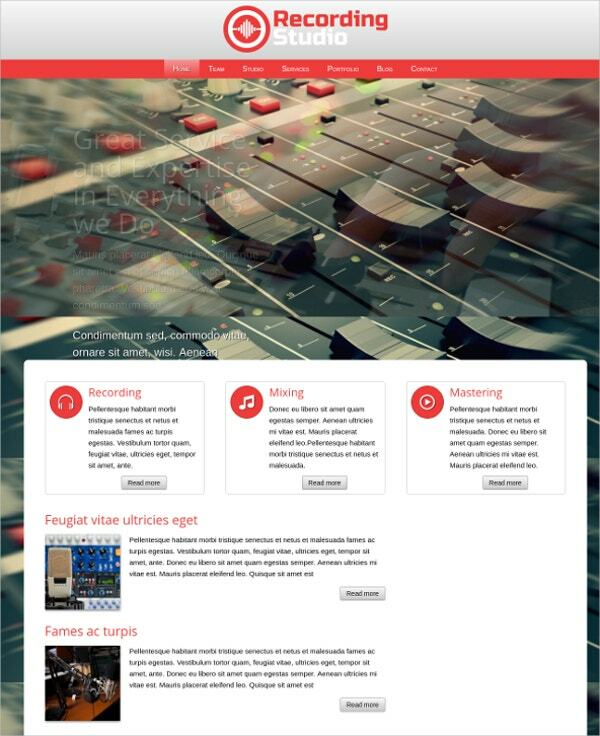 Ideal for recording studios, this website theme is easy to install and activate. 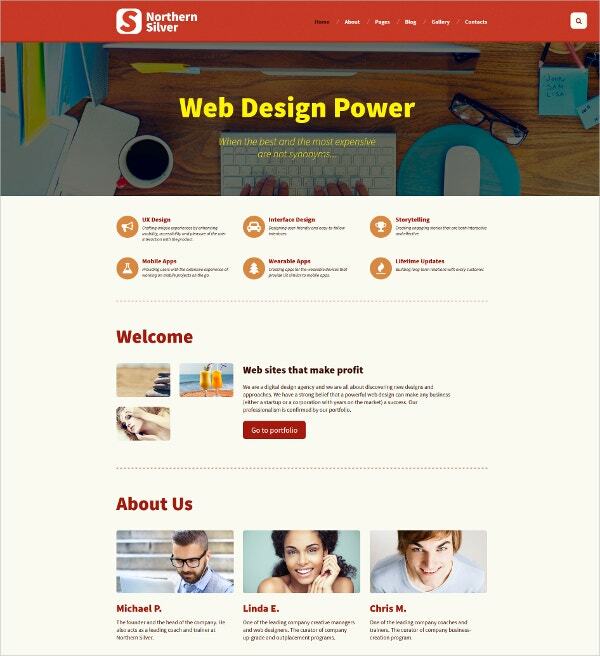 This is a fast WordPress theme, capable of adjusting the visible content using the powerful front-end editor. You can access the built-in blog for recording your experiences. Easy to maintain, you have the advantage of one-click auto updates. This SEO friendly theme is a useful one. 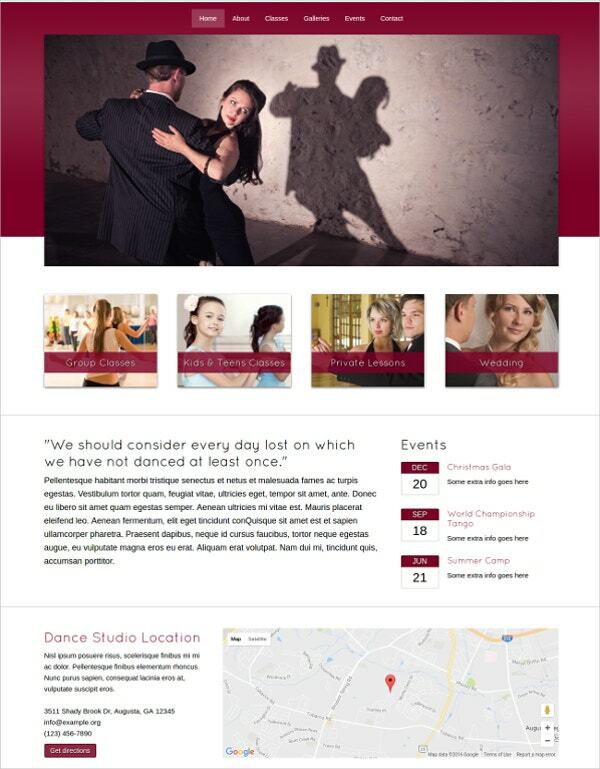 The Dance Studio Project website template is perfect for displaying your dancing prowess to the world. With eight unique colors, this theme is an easily customizable one. The fully responsive design ensures compatibility with all kinds of browsers. You can make use of the blog section to display your content as well as tips. The customizable widgets are an another attraction. 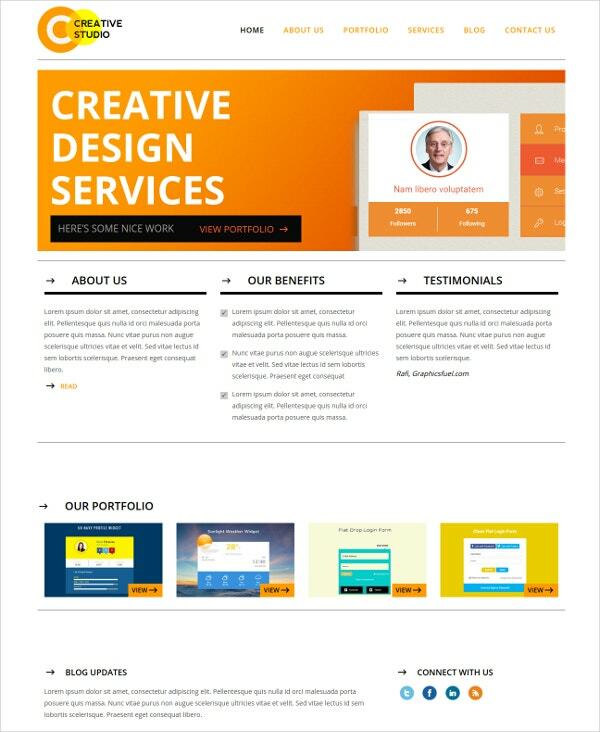 You can use this Bootstrap Website template for the creation of a portfolio website for any kind of business or activity. The professional design ensures a clear display of your work using unlimited variations of colors and design. The fluid responsive layouts allow you to use the theme on a variety of devices easily. 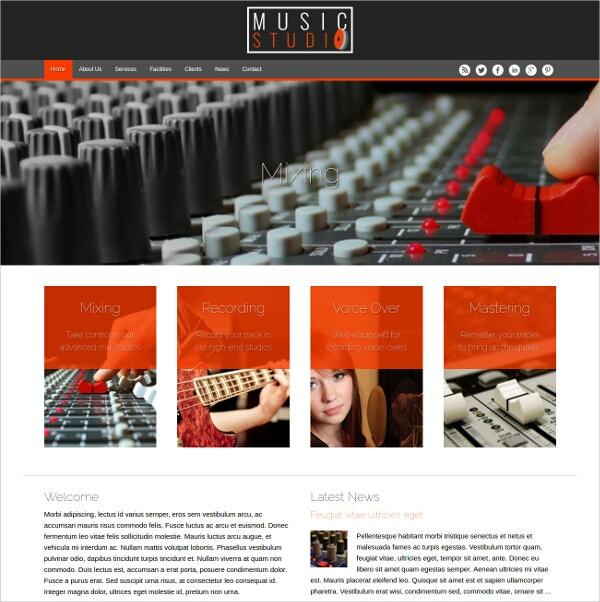 Using this WordPress Website theme, you can easily build a responsive website for your recording studio. The visual front-end editor allows you to change the colors and designs of the website without the use of any codes. The SEO friendly nature of theme is the favorite of all the recording studios. 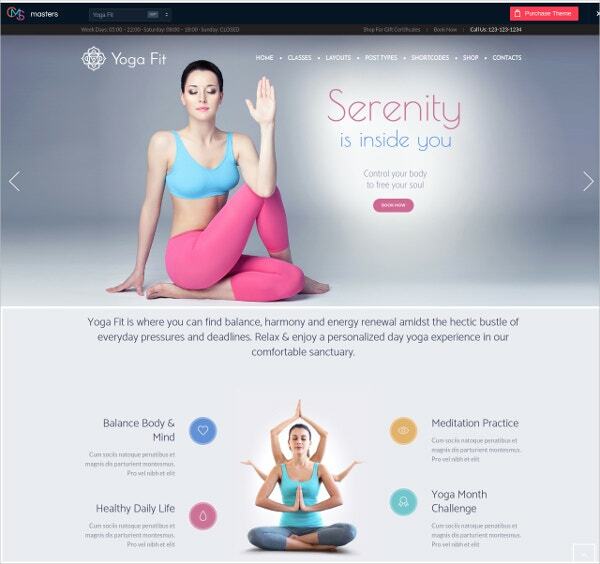 This Fitness and Yoga Studio WordPress Website theme is a powerful one. You have the advantage of an event calendar PRO support. Compatible with WooCommerce, you can use the theme for transacting online as well. Ideal for yoga and fitness classes, you can customize the theme easily. Incorporating the images of the asanas is easy on this theme. This would be the perfect place to display your photography skills. 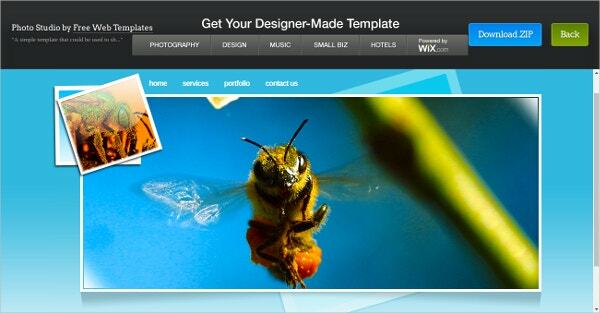 The easy-to-customize theme template is a popular one. You have the accessibility to various Google fonts making the content look attractive. The responsive nature of the scheme entailing easy viewing on all compatible devices such as mobiles and tablets is an attractive feature. These studio themes are very attractive to view as well as easy to use. You would be able to build up your studio website easily with the help of these themes. Displaying your portfolio through these themes is easy. You get an attractive range of options to customize the theme according to your requirement. These themes are attractive as well as powerful.